A few weeks ago Corey was home for a short visit but extended his stay to help Mark care for me while I was so sick. We spent a lot of quality time together and he happened to be here when my Wednesday night girlfriends came to visit. Corey has a beautifully written blog of his own and in one of his posts he described perfectly what our Wednesday nights are all about so I asked him if I could share that post on my blog and he said yes. 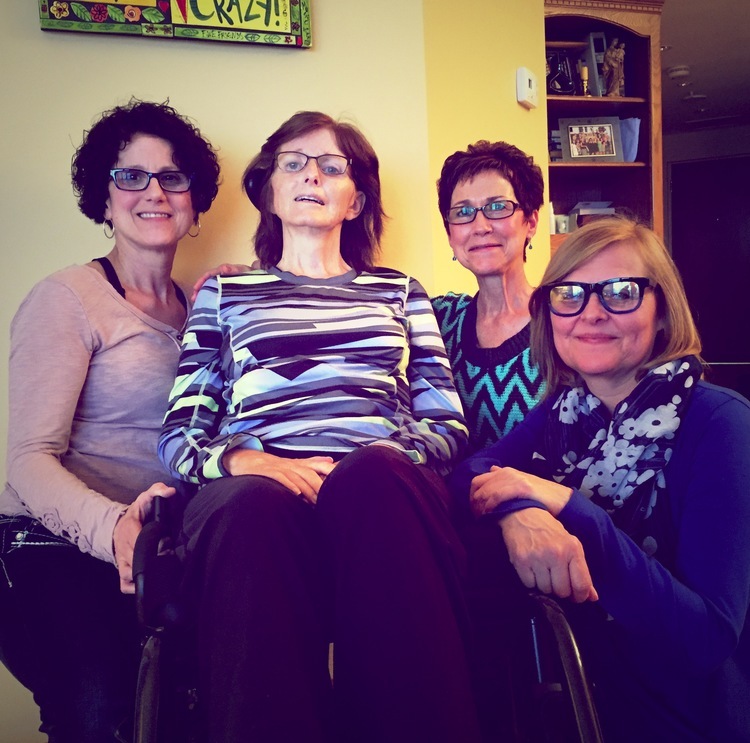 Earlier tonight, much like they’ve done on most other Wednesday nights since ALS bound my sweet mother to a wheelchair, three of her best friends journeyed to my parents’ condo from the far side of town for a visit. They used to hike and jog and throw outrageous backyard dinner parties together, did the four of them, but now, because my mom can’t do much else, they mostly just sit around my parents’ dining room table keeping one another company. Sometimes they laugh, sometimes they cry, but always, without fail, they show my mom and dad a rare and dazzling and inexplicable kind of love that blurs the line between friends and family and makes me wonder how we got so damn lucky to know so many of these kinds of people. Cool Mothers have cool kids!! What a great blog! I would say Rosemary, it’s definitely not just luck! God Bless you every day!! !